Is your father a die hard car enthusiast? Then we have a great list of gifts just for him! Whether you have $20 or $500 to spend, you are definitely going to find one or two gifts on this list. Which one is your favorite? Easy access, superior fit. Abrasion-resistant Clarion palm and fingers. Reinforced for increased durability. Ideal for use at home or in the garage, utility closet, and workshop. Heavy duty 450lb capacity, 3″ high quality non-marking casters, easy quick pin transformation, professional grade upholstery…and low enough to get underneath any job that comes it’s way! This “Rotating Magnetic Work Light” has 48 high intensity LED lights. The rotating head pivots to direct light to the needed angle. It is constructed with a sturdy aluminum housing and rotates 360 degrees. The strong magnetic base attaches to any ferrous metal. The Hot Rod Garage Neon Clock features a hand blown ring of real glass neon, generating 25 watts of light. The neon clocks have glass faces and feature black or chrome finished, multi-tiered art deco styles rims. This Hot Rod Garage Clock features a chrome rim with a single ring of red neon. The quartz movement clock operates on one AA battery (not included). Automotive art made in the USA! Both good looking and functional. The stool top features a thick vinyl covering and is engineered to remain balanced and flat, resulting in a more comfortable and ergonomically correct seat. 120 volt 5.1″Ametek Lamb motor – 12 Max AMPS – 95″ Sealed Vacuum – 507 Max Air Watts – 400-450 hours of motor life- 50′ Crush Proof Hose – Durable Plastic Telescopic and Curved Wands – 12″ Floor Brush with Natural Bristles – Select Crevice Tool – Select Dusting Brush – Select Upholstery Nozzle – Hose Hanger – Convenient Storage Bag/Caddy. The Garage Vac is Made in the USA by Lindsay Manufacturing, a manufacturer of central vacuums since 1956. Heavy duty vinyl resists acid and grease and is easily cleaned. Jeg’s exclusive tool pocket conveniently keeps small tools and small parts within reach to help make the job at hand easier to complete. This system allows you to just mix the two parts in the standard kit together without having to worry about measuring ratios…saving you time and money! Color: Beige (comes with 3-color fleck: White, Black, and Light Blue). Covers Approx. 350 to 400 Sq Ft with this kit. Everything needed to make your vehicle shine its best from one end to the other. 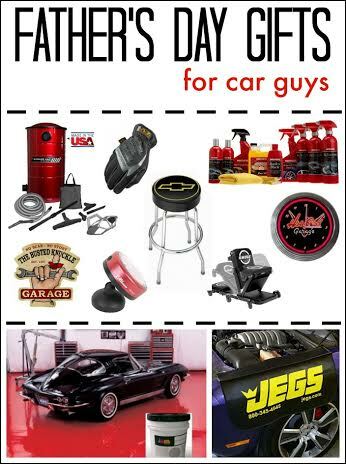 This kit includes a California Gold Clay Bar System, one 32-ounce bottle of California Gold Car Wash, one 16-ounce bottle of Reflections Car Wax, one 16-ounce bottle of Reflections Top Coat, one 24-ounce bottle of Reflections Spray Wax, one 24-ounce bottle of Reflections Tire Care, one 24-ounce bottle of Reflections Leather Care, one 24-ounce bottle of Wheel Mist All Wheel Cleaner, and one 8-ounce bottle of Back-to-Black.